I haven’t actually read this book yet, in fact I only just heard about it today, but the discovery is so exciting I couldn’t resist posting about it. I found out about it here on the Horn Book website. 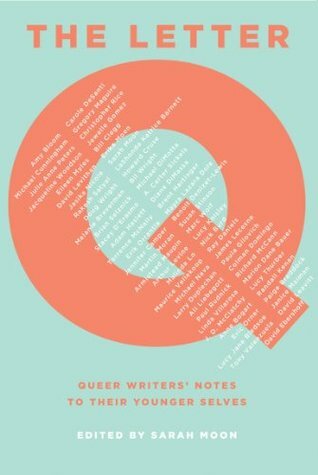 Equivalent to the print version of the It Gets Better campaign, the book is a collection of letters (in the form of both words and pictures) from contemporary lesbian, gay, and bi-sexual writers, illustrators and publishing professionals to their younger selves, offering advice, reminiscence, and general encouragement. Not only does the collection provide a hopeful glimpse into adulthood for teens, it introduces readers to 64 different GLBTQ individuals in the publishing industry and can serve as a reading list for anyone looking for more books by queer writers and illustrators. Eileen Myles, Michael Cunningham, Brian Selznick, Gregory Maguire and Malinda Lo are just a few of the well-known authors in this volume who give wisdom and insight to their former selves. I, for one, can’t wait to get my hands on a copy!